There isn’t any food entry for Day 7 & 8 because we basically had quick meals for two nights in a row. Bingsoo. Probably my favourite dessert (as of right now). 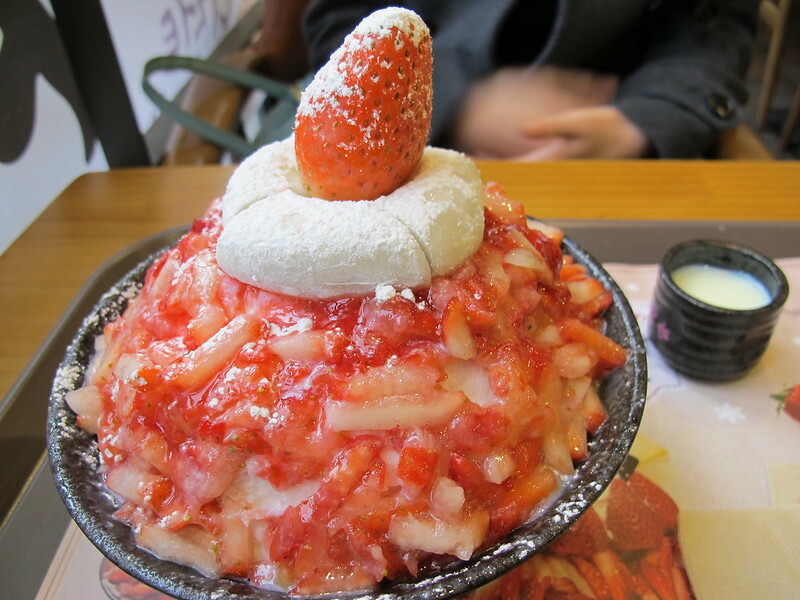 This Korean shaved ice dessert tastes completely different from the ones back home. And plus the strawberries being in season (I know, it’s strange that strawberries are in season in the middle of winter). No words can describe how it tastes. We went to Korean Dessert Cafe located by Hyehwa Station (there are plenty of other locations as I found one right by my cousin’s apartment on the last day before I left). The portions are humongous, so I highly recommended sharing. 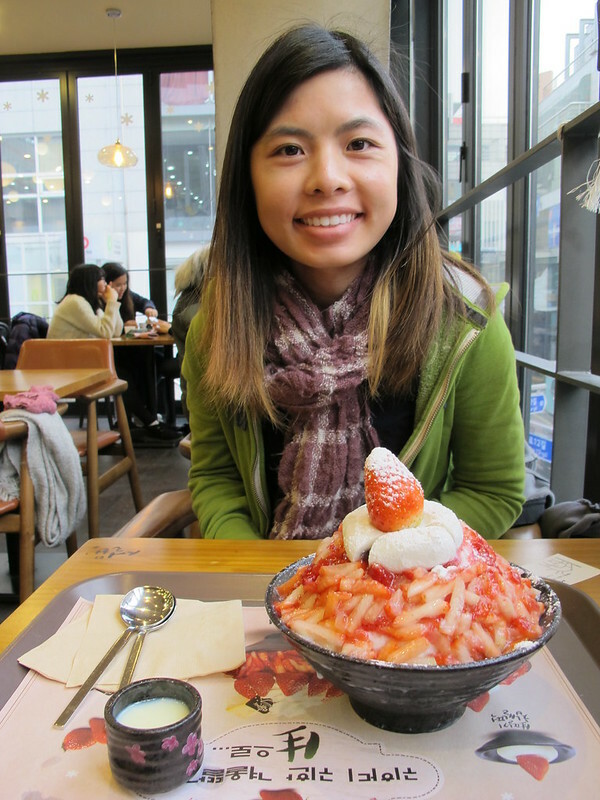 I think the strawberry bingsoo was a special, as strawberries are in season right now. I’m not sure if they have this all year round. The dessert house does recommend its best and most popular dishes. We were going to try the original shaved ice but we just had so many foods to try in so little time. Definitely will be visiting this dessert house next time I’m back in the city. Dinner: gamjatang. 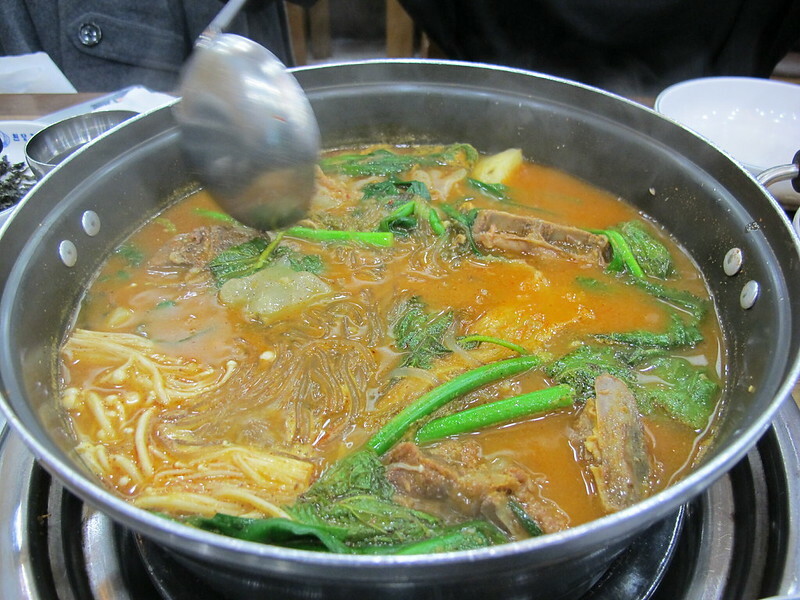 I made my cousin search a restaurant that serves gamjatang (because it’s a popluar Korean dish back home). Luckily, the restaurant was in the Myeongdong shopping area, so we did some shopping before we went for dinner. Comparing the gamjatang in both cities, I could taste a difference. I mean, the one I had in Seoul was so different, in taste and style (it’s sure more salty back home). So we (two cousins) ordered a small pot of soup and we were left carrying our stomaches home. 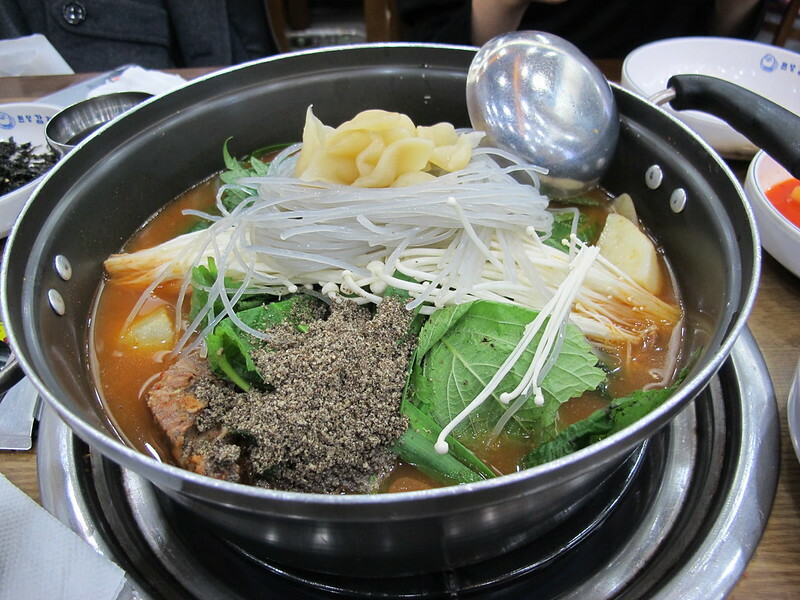 It’s served with a lot of veggies, glass noodles and Korean flour cakes (referring to the yellow stuff on the top). If you want the full experience, try sitting on the floor. 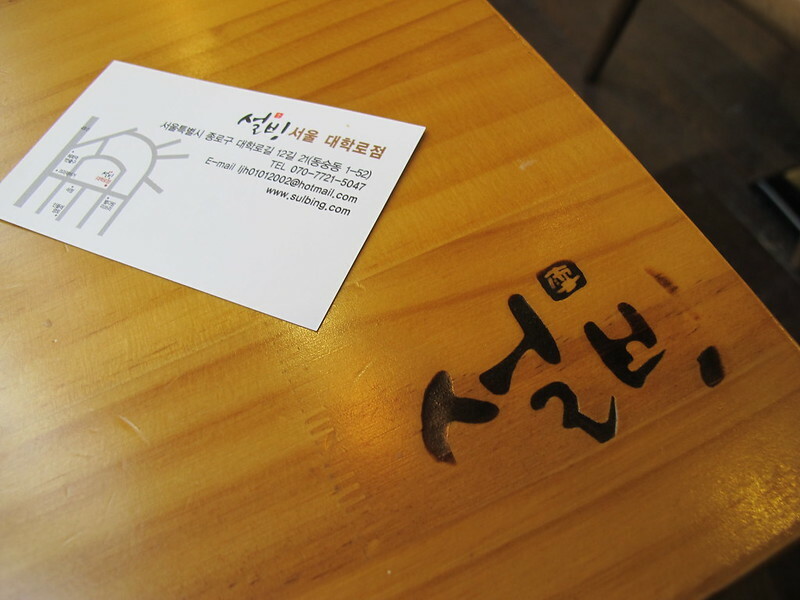 The restaurant offers lower tables so that you can sit crossed legged on a cushion while enjoying your meal. It was too late when I noticed the tables at the back of the restaurant. Next time for sure! Click here to make sure you don’t miss a single entry on my trip to South Korea. P.S. Make sure you visit my cousin’s (Seoul) travel blog (here).